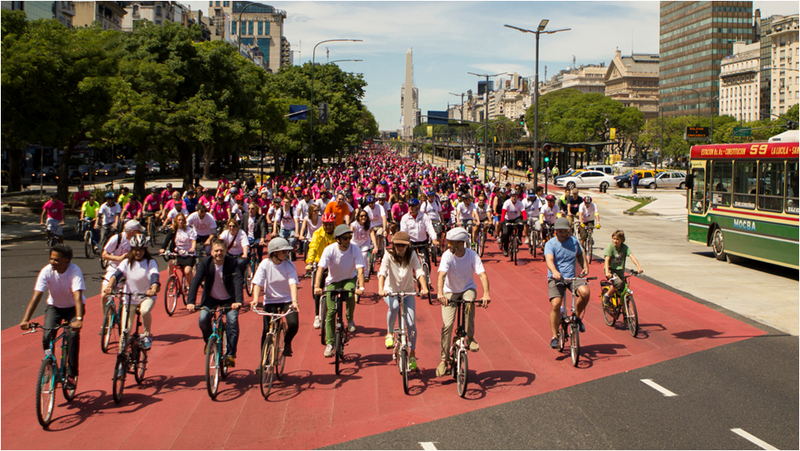 Buenos Aires is an enjoyable city; a place that guarantees the integration of the most vulnerable population and encourages creativity and innovation, so that we can all develop our potential. A connected city, that promotes public transportation, sustainable, predictable and with good quality; that prioritizes pedestrians and cyclists. This is a paradigm change: from transportation to mobility. 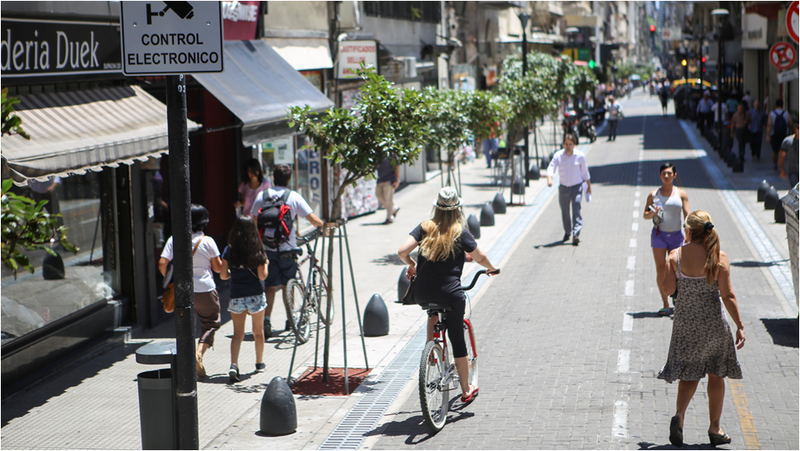 We design a city for the people, with human scale, where streets are a true meeting point. Our main objective is to improve the quality of transportation because this is a mobility option used by the vast majority. It is the most democratic, inclusive and sustainable way, and we want more people to choose it every day. Buenos Aires, a city with 2.8 million inhabitants, has a metropolitan area with more than 12 million people and has a very developed public transportation network, with 850 km of railways, 60 km of subway and 18,000 buses operating on over 200 different routes 24 hours a day. Ensuring good public transportation is essential in a City were 8 million trips are made every day and to which almost 3 million people commute on a daily basis, where services have to be provided for almost twice the people living in it. Over the past 6 years, the City began developing a BRT (Bus Rapid Transit) network to improve intermodality and transportation efficiency. Although it had one of the first subway networks in the world, inaugurated in 1913, during many years the government focused its attention on improving infrastructure such as highways linking the city to its suburbs. This vision, which has now changed into one centered in public transportation and healthy mobility ways, led to the current numbers, which show 45% of people entering the City in their daily commute do it by car. However, over 83.5% of trips made within the city are done by public transportation, which shows that there is a high contrast between the quality of mobility between the City and the rest of the Metropolitan Area. This type of contrast is essential in understanding most of the challenges faced by the City Government when planning new solutions to improve transportation quality in Buenos Aires, as not only is there an important difference between the services provided at the outskirts and those within the City, but there are also opposite social realities coexisting within the City itself. This is why we believe it is so important to ensure transportation as an important tool to improve connectivity but also in reducing social inequality, not only by creating bridges between different neighborhoods, but also by improving the quality of public space and creating a safer environment for economic and social growth. Every day, more than 8 million people move within the city, 83.5% of which do it by public transportation (57% by bus, 18% by subway, 1% by train, 4% by taxi y 3,5 by bicycle). 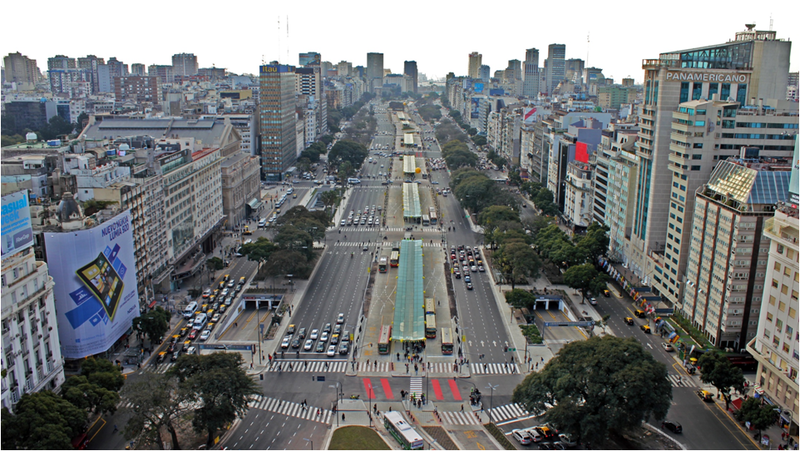 137 bus lines circulate in the City of Buenos Aires. Only 25 of them begin and finish their routes within the City boundaries, most of them connect with the Metropolitan Area. The Buenos Aires BRT Network is 62.5 km long and has 8 functioning corridors, 91 bus lines which benefit over 1.4 million users and a 50% reduction of travel time. The bus, with a 57.5% of the total amount of public transportation users, it is the most used transportation mean within the City. With the BRT Network growth, the citizens’ quality of life will continue to improve by ensuring a safer, more comfortable and faster travelling. The Buenos Aires Metropolitan Area has the biggest railway network in Latin America, with 850km. The “RER” project is set to improve quality of service, raise frequency and connect all lines at the City center.